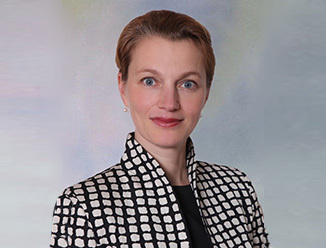 As Head of Client Care Asia Pacific and Continental Europe, Iris Aalders has overall responsibility for the development and leadership of the Client Care programs across all locations and business lines in both regions. In Asia Pacific, Iris and her team oversee approx. 50 global and local investor / occupier clients focused on generating leads, promoting CBRE and growing and retaining client relationships – all in close collaboration with the business. In her capacity for Continental Europe, Iris’ initial focus is to establish better cross regional connectivity between APAC, Continental Europe and UK for Tier 1 global clients domiciled in either APAC or Europe. Client Care’s global vision is to be the catalyst for CBRE’s transformation into a more client-centric organization – where delivering world-class service and producing real advantages for our clients is at the heart of our culture. Our professionals expertly navigate and leverage CBRE’s resources on behalf of clients with a focus on operational excellence and execution. They partner with clients to meet their immediate and long-term goals while fostering mutual growth opportunities. CBRE’s unique platform enable us to provide superior communications, advisory and through leadership, delivering unmatched services to our clients. Our Client Care program provides a common practice around deepening client relationships and creating a better understanding of each client’s unique needs. Providing them with the ability to utilize our connections and scale and deploying the entire CBRE enterprise to deliver measurable client outcomes. Iris joined CBRE Global Investors EMEA in 2007 as Head of Investment Strategies and Structuring, playing a key role in the acquisition and integration of ING Real Estate Investment Management. In 2011, she took on an interim country manager role for Italy, and became CBRE’s Alliance Director EMEA for the key client CBRE Global Investors in 2013. Prior to joining CBRE, Iris worked as a management consultant at Deloitte and Arthur Andersen from 2000.